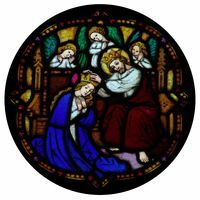 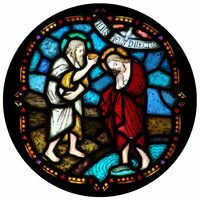 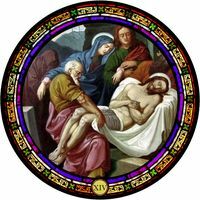 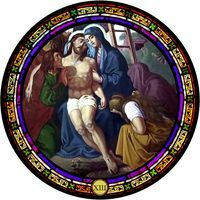 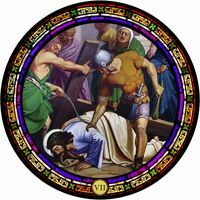 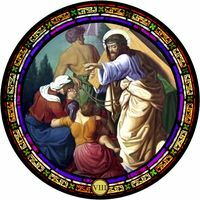 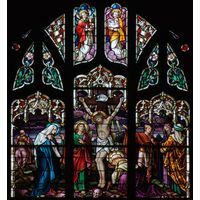 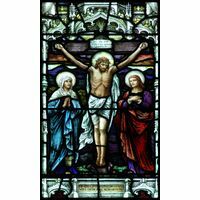 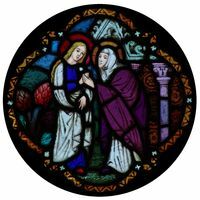 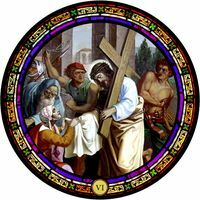 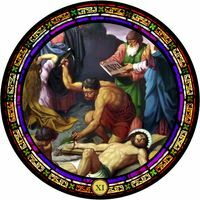 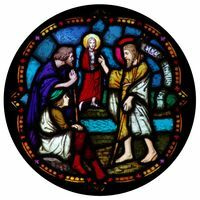 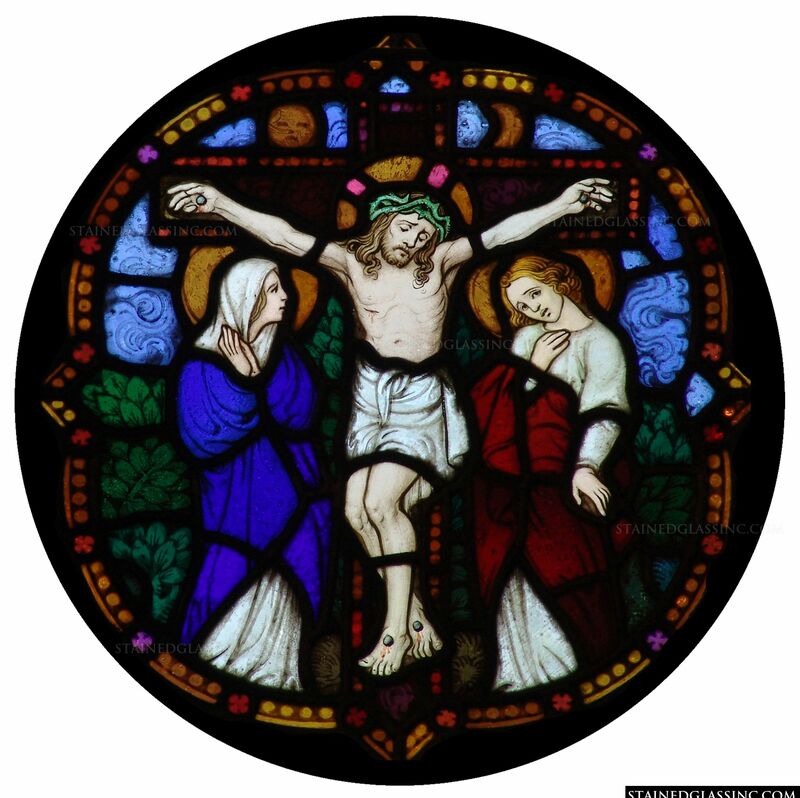 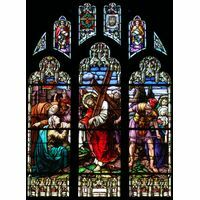 The crucifixion of Jesus Christ is illustrated on this colorful round stained glass window. 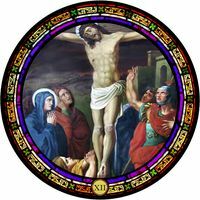 John, the beloved and Mary stand at Christ's feet as He is sacrificed on the cross for all mankind. 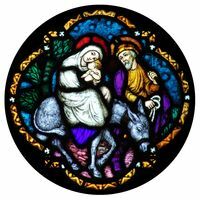 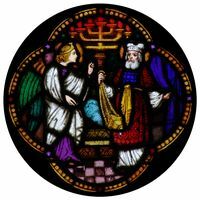 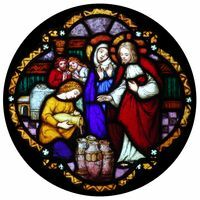 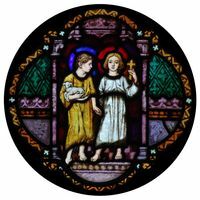 Use this stained glass artwork as a hanging stained glass suncatcher or a stained glass window insert in your church, chapel or prayer room and bring color and instant charm to your space.